This past weekend I returned to my old stomping ground – the West End of Glasgow. After four years of living, eating and drinking in Edinburgh, I have learned not to pine for my old city the way I used to. When I first moved to Edinburgh I was one of those annoying people who would constantly compare the two cities, and my catch phrase soon became “If we were in Glasgow we could go to [insert favourite restaurant/bar/shop]”. Anyway, this past weekend I WAS in Glasgow so we went to the Wee Lochan. Previously named An Lochan, the little family run bistro is hidden away in Broomhill, just a 30-35 minute walk from Byers Road, or in our case, a 15 minute walk from my Gran’s house in Jorhanhill. 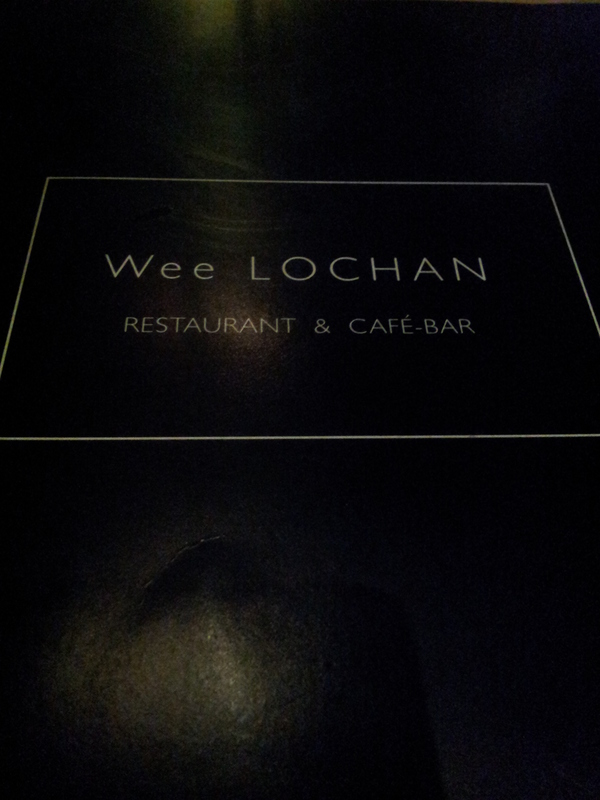 The west end of Glasgow is spoilt for choice when it comes to great restaurants, and I think the Wee Lochan sits a cut above the rest. The menu sets the tone for the place perfectly. Before you even get to food, each menu has a different “wee story” written inside. Each one tells a funny anecdote about the owners day-to-day life and running of the restaurant – a really nice distraction from an delicious looking menu. 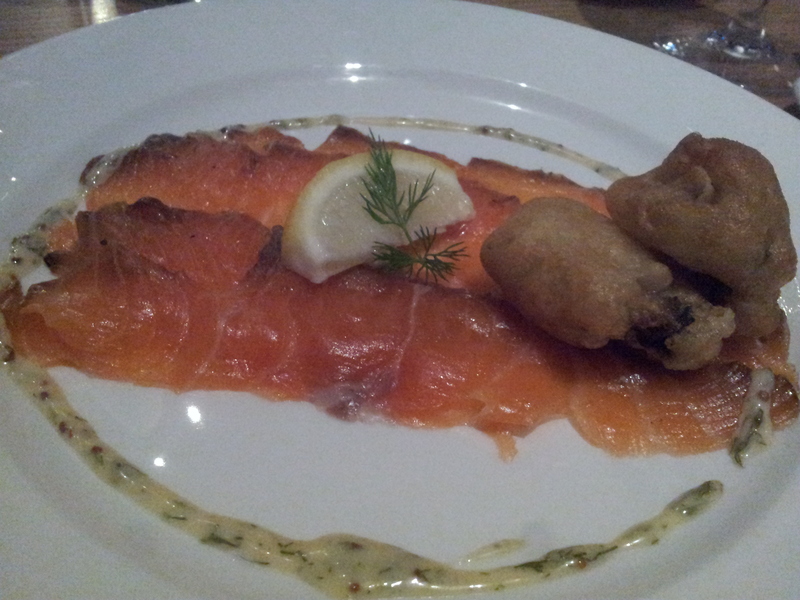 For starters I chose treacle cured smoked salmon with deep-fried oysters and a mustard and dill sauce. The deep-fried oyster drew me, and I wasn’t disappointed. The treacle wasn’t too strong, just a touch of sweetness which tasted great with the salty oyster. 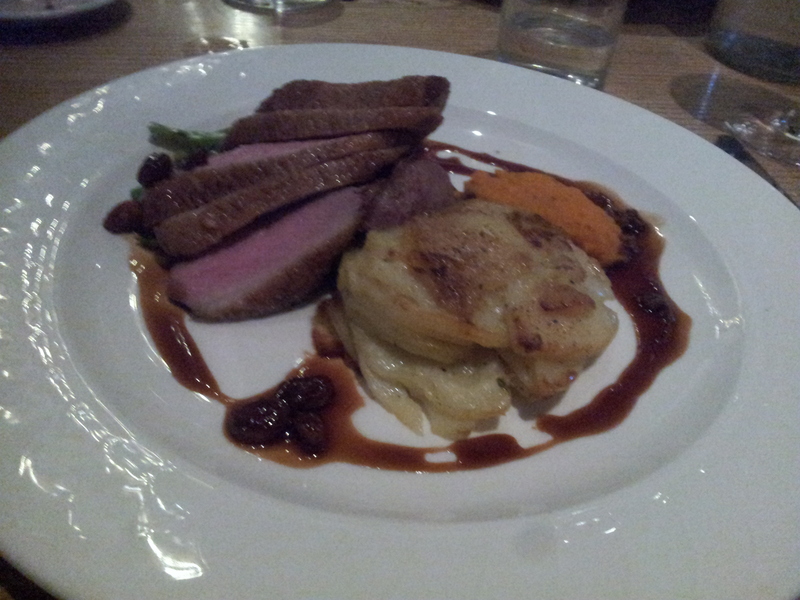 For my main choice I chose honey roasted duck, dauphinoise potatoes, carrot fondant and a sultana jus. The dauphinoise were not too creamy and had lots a garlic. The duck was cooked to perfection and tasted great with the sultanas, which did the same job as a plum sauce. I wouldn’t have missed the carrot fondant, but that’s only because I’m not a HUGE carrot fan, never have been, and there is no reasonable explanation for that. Despite being stuffed we charged on with dessert and went for a chocolate sponge pudding with hot chocolate and fudge sauce and honeycomb ice-cream. The sponge was so light and fluffy it meant we could finish the lot without feeling too full. 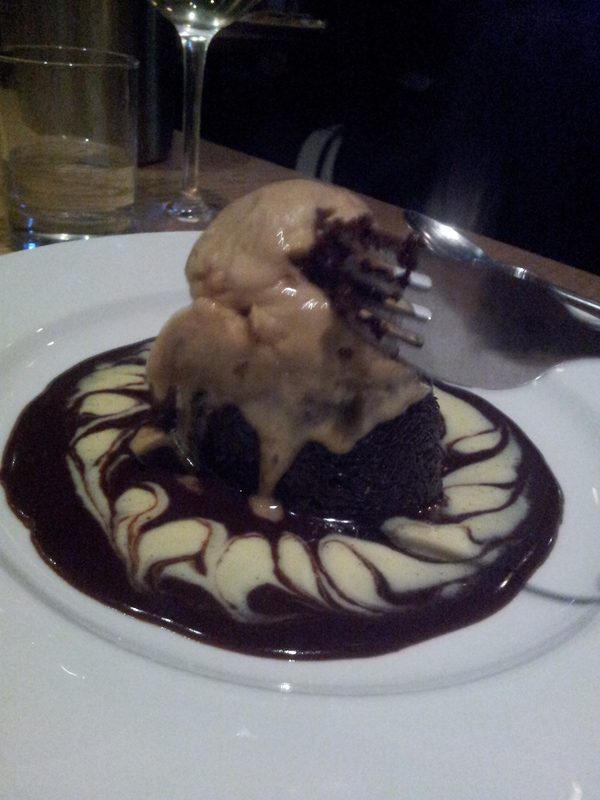 The perfect pudding! The evening was made even better by the friendly staff and buzzing atmosphere – great to see the place packed on a Saturday night in January. 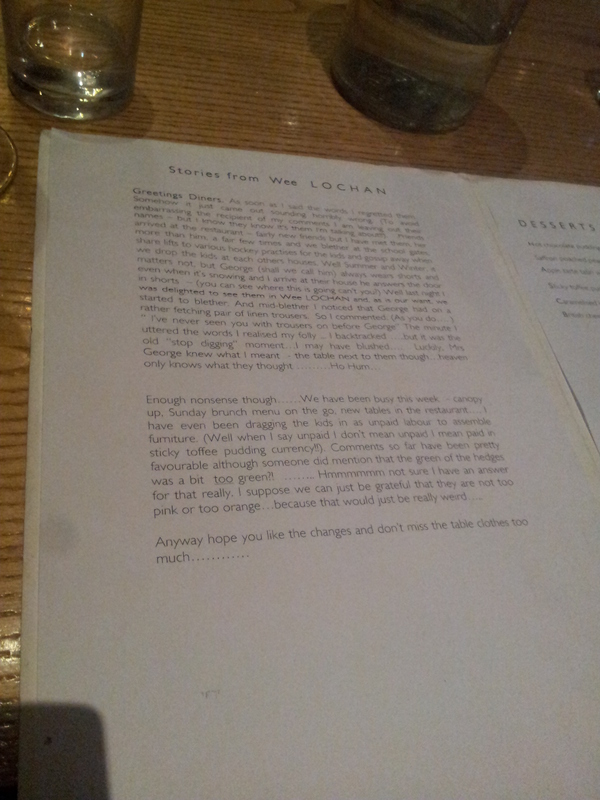 If you venture to the Wee Lochan in summer time the menu will be packed full of fresh seafood dishes and I can assure you they are just as *delicious*.